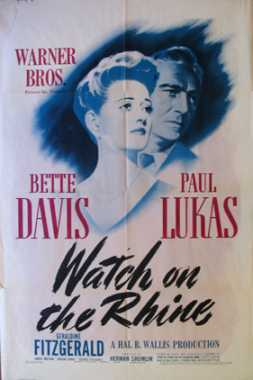 Plakatmotiv Watch on the Rhine, © , Warner Bros. Pictures, Inc.
Szenenphoto aus Watch on the Rhine, © , Warner Bros. Pictures, Inc.
Watch on the Rhine is a motion picture produced in the year 1943 as a USA production. 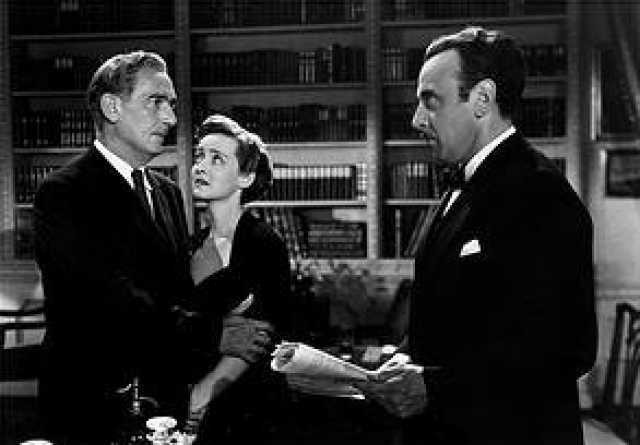 The Film was directed by Herman Shumlin, with Bette Davis, Paul Lukacs, Geraldine Fitzgerald, Lucile Watson, Beulah Bondi, in the leading parts. There are no reviews of Watch on the Rhine available.